In comparison with the local countryside, the entire Deveselu NATO base looks like a mirage in the desert. Steppe lands around the missile base lack any green forests and dense populated villages. Locals drive horses and carry millet in the wagons, while Americans flit past them in expensive cars. In the base, one can see marble floors and balusters outside the buildings all around and lush parks full of trees, some of which are extrinsic to the local nature. 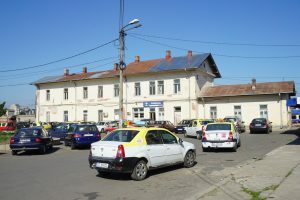 A local taxi driver, Corneliu Motoi says that some of the American staff resides in a small farm city Caracal; however, it’s simple to distinguish them from Romanians, since they live in big, two or three story, brand new villas in the center of the city and don’t have Dacia cars (national manufacturer of cheap vehicles). The arrival of NATO didn’t improve pretty much condition of Deveselu village and Caracal, which are the closest settlements to the base. Corneliu Motoi says the city didn’t change since NATO established the missile base. «People don’t actually care about them. We got more jobs and a school was repaired. There are free English courses [in the school]. But in general the city didn’t change». As he adds, Caracal also had to get repaired rail station, which is the only way from here to the capital, but the building is still cracked. Romania joined NATO in 2004 and already has 5 military bases of the alliance on its territory. The most recent one is a missile base on the south of the country, the Deveselu Missile Facility that deployed in December of 2015. Jens Stoltenberg, the 13th Secretary General of NATO, says that the base was established in response to the possible threat from the Middle East. The maximum range of NATO RIM-161 missiles is 2500 km, which is more than enough to intercept missiles launched from the Arab states. However, it’s also enough to hit any point in the European part of Russia. Old train station of Caracal. Russian authorities negatively responded to the new base and considered it as a direct threat. «This is a global plan, aiming to diminish our nuclear potential. That is why we cannot stand by calmly and watch, while [the US] loads the gun and aims it at our heads…» Igor Korotchenko says, Chairman of the Public Council under the Ministry of Defense of the Russian Federation. He notes that the base was established after the annexation of Crimea. Moreover, Romania has an access to the Black sea, a port city Constanta, where NATO deployed warships just after the Crimea affiliation. The president of the Bucharest branch of the populist United Romania Party, Andrei Piticas, says that the presence of the NATO bases in Romania puts the country under the risk. In response to the Deveselu base, in 2016 Russians brought nuclear warheads to their most western city, Kaliningrad. Andrei adds that it’s a totally irresponsible decision to tense relationships between NATO and Russia, which don’t get better, but only lead to the new arms race. A headquarter of the United Romania in the center of Bucharest. Dracula represents tough measures against foreigners, while a piece on the right is the once lost Bessarabia. The United Romania is a young right-wing party that emerged in 2015. The founder and leader is Bogdan Diaconu, who was the CEO of the Social Democrat Party in one of the Bucharest administrative units for many years. 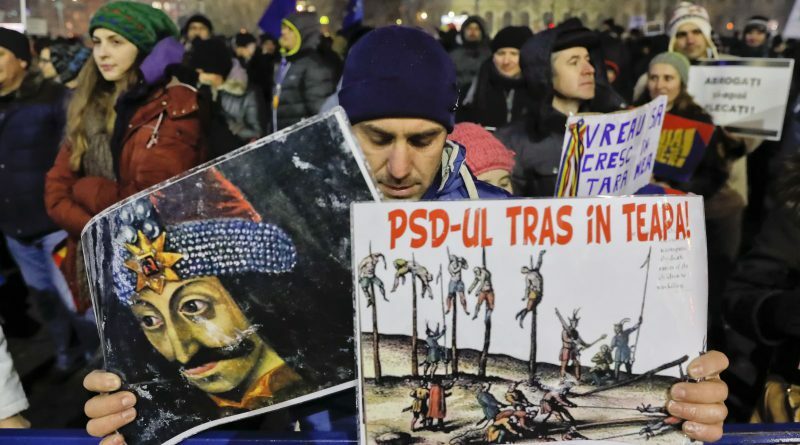 The symbol of the party is the famous Romanian prince Vlad Dracula, who obtained international renown not only as a manslayer, who impaled enemies and drank their blood, but also as a defender of the nation that banished the powerful Ottoman Empire. Another feature of the URP logo is a map behind Vlad, where Romanian territory is coupled with Bessarabia region, which belongs to Moldavia since 1940, when Hitler and Stalin while sharing Europe, agreed to join the region to the USSR. But Moldavians are just a minor issue for the party as tense relationships with Hungary represent the foundation for most of its nationalistic sentiments. Diaconu decided to form his own party, expressing anger towards The Democratic Alliance of Hungarians in Romania that represents Hungarian minorities and stably gets 4th place in the general elections. The Hungarian minority of Romania is the largest ethnic minority in the country, making up 6.1% of the total population. Transylvania, the biggest region of Romania, was under control of Austro-Hungary from 1868 until its disintegration in 1917. During these 50 years, Hungarians firmly settled down in Romanian towns, however, reserving native culture, language and Catholicism. Although Hungarians are minority also in the parliament, the ruling Social Democrat Party actively supports them since 2004, allowing people in Transylvania to use Hungarian language in public life (administration and justice) and teach it in schools. Additionally the SDP guarantees self-governance of several districts such as Székely Land, where Hungarians represent majority of the populace. Diaconu says that his exit from the SPD is «a gesture against coopting and saving of the Hungarian Democratic Alliance in the government that oppose all the arguments that show the need to exclude the Hungarian party not only from politics, but also from the public life of Romania». Besides this, the SPD recently fell in the eyes of Romanians due to the corruption scandal. The crafty ploy of the ruling party of Social Democrats, who tried to decriminalize small-sized corruption on a January night, led, as the president Klaus Iohannis says, to the «fully-fledged political crisis», by which the URP hopes to gain support. Apart from the frank intolerance towards neighbors, Romanian nationalist also fiercely stands against the West, urging to break off any arrangements with the EU and the Northern Alliance. When their rhetoric comes to NATO, it takes strong conspiracy tones. Andrei Piticas points out that the arrival of the alliance to Romania was supported by an American billionaire and financial speculator of Hungarian origin, George Soros. In the 1990, just after the Romanian exit from the Warsaw pact, he established 30 subdivisions of Soros Open Network that used to prepare sustainability programs and invest into public facilities of the country. However, the main funding projects, The Foundation For an Open Society and Coalition For Open Data that invested $200 million, stopped their activity just after the establishment of the Deveselu base in 2015, allegedly moving funds to Ukraine. For the members of the UPR, Soros is represented as a demonized Hungarian oligarch, who rules the country through liberal parties that recently took the second place in the elections. As Piticas adds, there are plenty of Romanian politicians from the liberal side, who were holders of fellowship from Romanian Academic Society, the longest-standing think tank in Romania that was established in 1996. In the list of fellows and trainees of Soros structures – ministers and heads of the main state structures, advisers of presidents, professors of the University of Bucharest and owners of key media outlets. One of them is Eduard Hellvig, the current Director of the Romanian Intelligence Service. When he was 21 he already received Soros scholarships and even became director of one of the Soros’ programs, and then, at 22, headed the Institute of Political Analysis in Cluj. 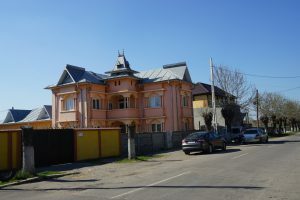 According to the local newspaper Cluj Expres, this institution provides students with sentiments directed against traditional values, the Orthodox Church and the territorial integrity of the country. Members of the UPR suppose that he and the Intelligence Service enforced the massive protests against the ruling Social Democratic Party, since demonstrations were supported and led by the National Liberal Party. As he adds, the Romanian economy was not ready to join the European market in 2004. This notion brought a huge amount of foreign companies that arranged monopolies on the market, using Romanians only as a labour force. Right now, the whole retailer sector is controlled by a German company Kaufland, while the largest company in the country as well as the producer of oil, Petrom, belongs to an Austrian company OMV. Genuine feelings for the homeland or a foreign policy arm of the Kremlin? 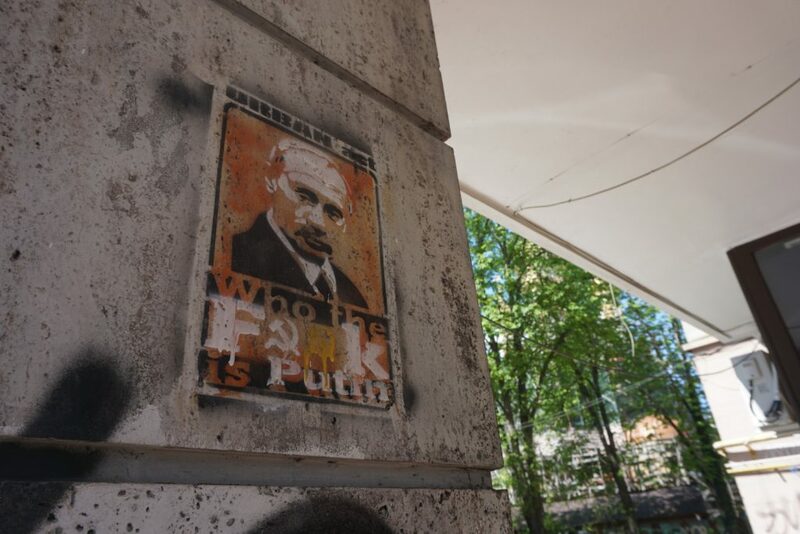 A graffiti near the headquarters of the URP that shows suspicion of Romanians regarding the party’s honesty. However, a political scientist Cristian Campeanu asks to not take for granted the mythmaking of new nationalist parties. «After all, how one can believe in Hungarian danger, when both of the countries are members of NATO, Hungary doesn’t have a big army and Romania hosts NATO bases and American troops? How can Hungary destabilize Romania? And how can you aggressively cultivate anti-Occidentalism in the country, where access to the European market has brought unprecedented economic growth, European funds financed infrastructure development and reforms in judiciary. Finally, the institutions created at the request of the EU such as NAD (National Anticorruption Directorate) help to reduce corruption». 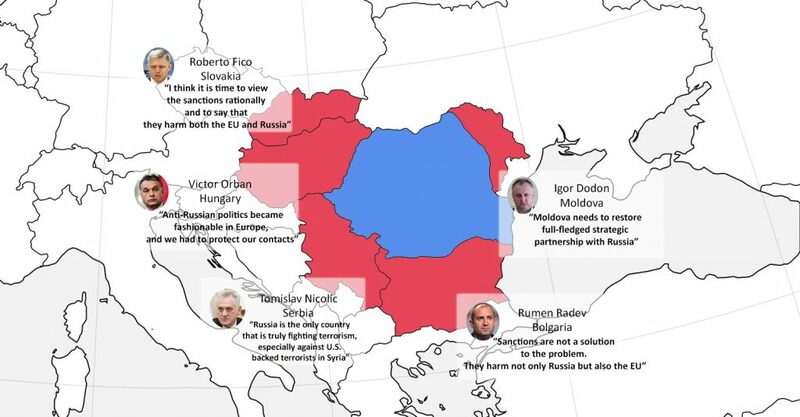 Romania is surrounded by leaders, who are sympathetic to Russia. Cristian says that the UPR is a politically engineered project of the United Russia, a Russian party of Vladimir Putin, who firmly grips the Eastern Europe by means of nationalism. There is no direct evidence for that, but the UPR once was convicted of cooperation with a pro-Kremlin Polish party «Zmiana». The leader of the party Mateusz Piskorski, a former member of the Polish Parliament was arrested by the Polish Internal Security Agency due to «cooperation with Russian intelligence services, meeting intelligence officers and undertaking operational tasks from them as well as accepting payments». It happened in the May of 2016, during a NATO summit in Warsaw. Just 2 months before that, Bogdan Diaconu and Mateusz Piskorski signed a cooperation protocol. Nationalist parties didn’t go well during the last general election in 2016. 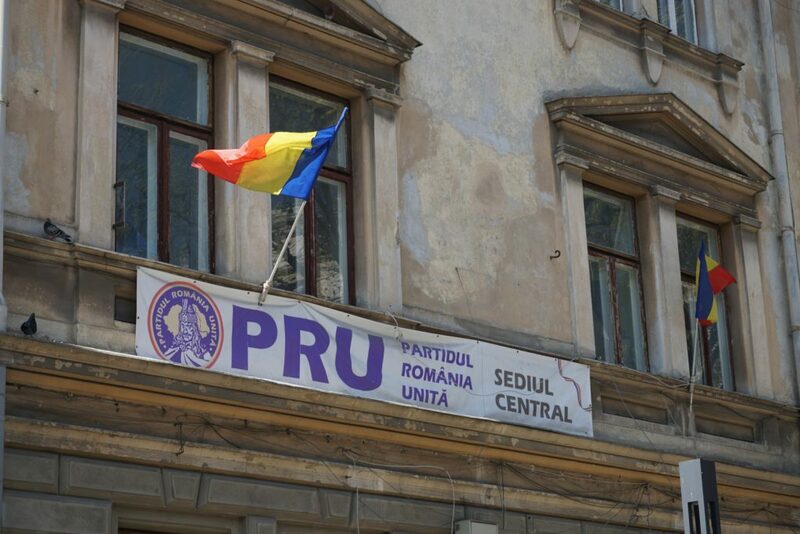 Although they are well presented in the local councils and have a relative renown in rural regions, where people are inclined to populist rhetoric, the United Romania Party is not represented in the Parliament. On the 5th of April, the party formed a coalition Bloc of National Identity of Europe that encompassed 3 main populist parties of the country, where the UPR as a leader plans to get into the Parliament in 2020.